The Top 10 Revenue Impacting Marketing Activities #Infographic ~ Visualistan '+g+"
B2B marketers engaged in pipeline marketing focus not just on the top, but the entire sales funnel, all the way down to purchase and creating customer-advocates. No matter what the newest technology and channels are, pipeline marketing is the foundation that keeps effective marketers focused on the bottom line: revenue. 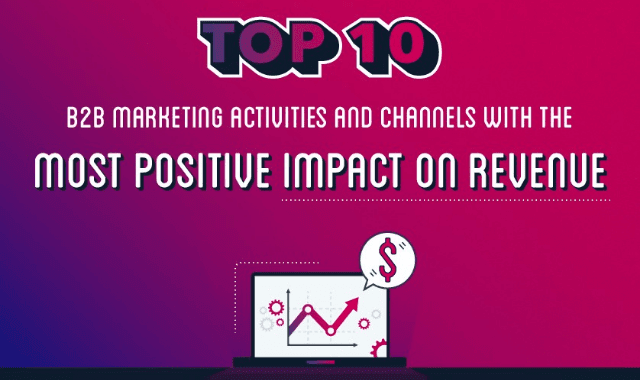 Read on below for the top 10 most positive, revenue impacting activities and channels and discover how relationships and a great content experience are the keys to a prospect's heart.